The Winner In a category with myriad different options, the Cleveland Golf Launcher HB stands out as our top pick for 2019’s most forgiving driver. The rear, low center of gravity, thin crown and Cleveland’s Cup Face technology combine for a huge sweet spot, great distance, and forgiveness across the whole face. The Cleveland Golf Launcher HB Driver is a cleverly designed, straightforward driver that’s a top performer at a price that’s hard to beat. The ultra-thin Hi-Bore crown compresses at impact to provide extra distance no matter where on the clubface the ball is struck. Because Cleveland saves weight by using such a thin crown and a smartly designed bonded hosel, they’re able to move that saved weight as far back as possible to promote a high ball flight and exceptional forgiveness on both heel and toe hits. Sweet spot strikes are incredibly long, while misses still produce good distance and tend to curve back towards the intended target. By forgoing adjustability and focusing instead on features that will aid all golfers, from Cleveland’s PGA Tour lineup to brand new beginners, Cleveland Golf has come out with a driver that outperforms the other drivers tested at a lower price than most of its competitors can offer. TaylorMade, the original pioneer of metal woods, remains at the forefront of innovation in the golf industry with this technological marvel. The TaylorMade M3 driver is constructed of titanium and a new carbon fiber material that allows for extreme fine-tuning of weight distribution. Saving weight with carbon fiber has allowed TaylorMade to offer two separate sliding weights that can be used to encourage greater distance with less forgiveness, or more forgiveness and a higher ball flight. The rear weight can also be adjusted towards the heel or toe to help promote a draw or fade, whichever you prefer. TaylorMade’s TwistFace technology is new for 2019 and really helps the M3 driver stand out. Most heel misses are low on the face and toe misses tend to be high on the face, so TaylorMade adjusted the traditional bulge-and-roll to account for this. Poor shots that might be overcorrected by other drivers are more likely to find the fairway because of this clever move. With great innovation comes a high price tag, though, and the TaylorMade M3 driver is no exception to that rule. Golfers “in the know” will often be more than happy to tell you that Tour Edge makes some of the best woods and hybrids out there, despite being a fairly under-the-radar company. Based out of Batavia, Illinois, Tour Edge makes clubs so good that several PGA Tour players use them without having any sort of sponsorship or payment to do so. The Tour Edge Hot Launch HL3 driver offers incredible bang for the buck. At under $200, it performed nearly as well as many of the other $400+ drivers I tested. Overall distance from good swings was comparable, within a few yards of the longest drivers hit. Distance on mis-hits was where the Tour Edge Hot Launch HL3 really came through, as low-face impacts flew and rolled out nearly as far as well-crushed drives. The directional forgiveness was decent, though not quite as pronounced as found in the Cleveland Launcher HB or the TaylorMade M3. Heel shots didn’t necessarily stay in the fairway, but they didn’t veer so far offline as to find the woods or out of bounds very often. Toe shots hooked back to the fairway, sometimes overly so. They generally got enough distance to still produce playable results. Some golfers may want more visual alignment aides than the simple white sweet spot dot found on the crown of the Tour Edge Hot Launch HL3, such as the subtle multi-colored crowns of the Cleveland or TaylorMade drivers. But it’s a classic shape that should appeal to most players. Some golfers don’t need total forgiveness, because they only hit one shot off the tee: a banana slice. 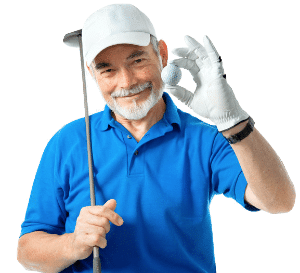 Many of my students over the years wound up retiring their driver and just hitting 3-wood off the tee because the driver would send the ball nowhere but trouble. 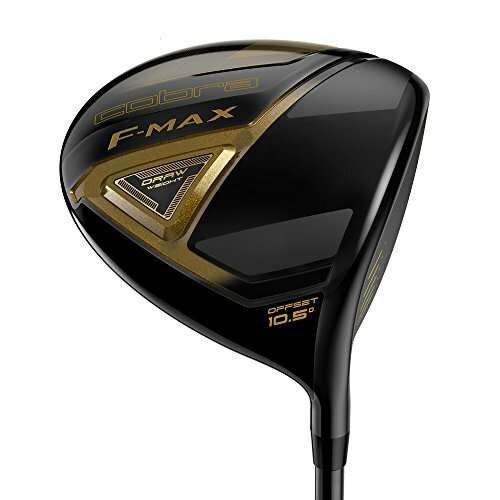 Cobra has produced an excellent driver to address the needs of the chronic slicer: the F-Max Offset Driver. The F-Max Offset Driver both offers a face-closing offset to help get the ball started on a better line, as well as a draw-biased weight in the sole of the club to help impart slice-preventing spin to the ball. The Cobra F-Max Offset Driver was as long as any driver tested and could be a great tool for golfers whose only miss is a slice. If you tend to play Army golf (left, right, left), then I’d suggest looking for a driver with more total forgiveness. But if you’ve only ever hit a draw while asleep and dreaming, the Cobra F-Max Offset Driver might be just the ticket. 7.1 What are the characteristics of a forgiving driver? 7.2 How do drivers achieve forgiveness? 7.3 What if even my sweet spot hits slice offline? 7.4 How do I pick the right forgiving driver for me? Cleveland Golf may not be the first golf manufacturer you think of when you think about drivers, but they have a very devoted following and an impressive PGA Tour presence (including major championship winners Keegan Bradley and Graeme McDowell) due to their consistently top-performing clubs. Despite being known more for their wedges, many golfers swear by Cleveland drivers and woods for their long, high ball flights and forgiving clubfaces. 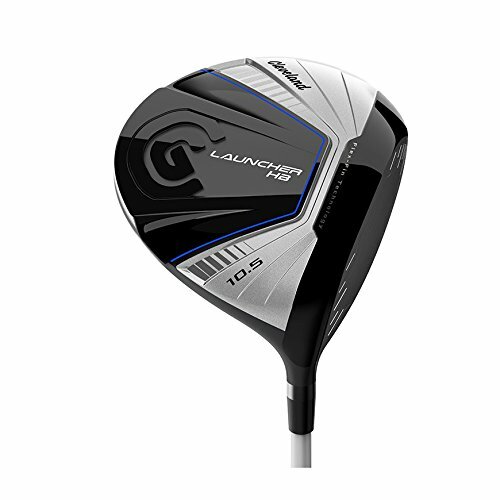 Cleveland Golf’s 2019 entry, the Launcher HB driver, represents a new milestone for the brand. While many manufacturers are creating higher and higher prices with numerous adjustability options and space age materials, Cleveland has honed and refined its bread and butter into an affordable, top-performing driver. The Launcher HB is a titanium, 460cc clubhead. 460cc is the largest size allowed under the rules of golf, and Cleveland takes full advantage of the huge clubhead to create a giant sweet spot. The “HiBore” crown (which is the source of the “HB” in the club’s name) is extremely thin, using the bare minimum of metal to maintain a stable clubhead. This thinness allows Cleveland to redistribute the metal that would otherwise be used in the crown to the bottom and rear of the clubhead. With this weight redistribution, the center of gravity becomes very low and centered at the rear of the clubhead. Additionally, the thin crown compresses at impact to provide an extra spring effect and more distance on all hits. However, Cleveland doesn’t just move weight from the crown: they’ve also engineered a lightweight bonded hosel and moved even more weight back and low. This hosel isn’t adjustable, but Cleveland found that moving the weight from the hosel offered more forgiveness to the average golfer than providing adjustability options. This low, rear center of gravity means that a ball struck anywhere on the clubface will get up into the air quickly with a good amount of corrective backspin and minimal sidespin. The Launcher HB excels in correcting misses everywhere on the face, which makes it the best choice for golfers who don’t have one predominant miss and just want to hit it farther and find more fairways. Frankly, that includes most of the golfers I work with at all skill levels! Cleveland’s “Cup Face” technology provides excellent compression on ballstrikes across the entire clubface. I found mis-hits high and low, heel or toe to all get a nice high trajectory. Directional correction was as good as the distance correction, as heel strikes resulted in slight fades back to the fairway and toe shots didn’t hook violently, but drew back online. The last feature of the Launcher HB is the “flex fin” technology that can be seen on the sole of the clubhead. These fins compress more the farther away from the sweet spot the ball is struck, which results in a higher spring effect on off-center hits. Both heel and toe misses get that extra spring effect to help maximize distance. Sweet spot strikes, of course, result in a high, long trajectory. It might not be the hottest sweet spot in the industry, but it’s certainly more than adequate. Other drivers that tout maximum distance focus on making the sweet spot as hot as possible but sacrifice forgiveness on off-center hits. The Launcher HB is more well-rounded than that. And you’re here looking for the most forgiving driver, which is where the Launcher HB really shines. The simplicity of Cleveland’s technologies also allows them to put the Launcher HB at a price point much lower than other manufacturers’ flagship drivers. They hit a home run focusing on the common needs of a vast majority of golfers: high launch, great distance and maximum forgiveness. The Cleveland Launcher HB is available in several different setups depending on your specific needs. High-speed swingers will likely gravitate towards the Stiff shaft and 9.0 degree loft. Golfers with slower swing speeds can choose between the regular and senior flex options, and either a 10.5 degree or 12.0 degree loft. The 12 degree loft will provide the highest ball flight and most forgiveness, but fast swingers might find the ball flight is too high and sacrifices too much distance. The Launcher HB comes with a Miyazaki C Kua 50 graphite shaft, a lightweight, high-quality option. This is a low-torque shaft that feels very stable through the hitting zone and matches extremely well with the clubhead. Since the clubhead is engineered so well for a high launch, the shaft requires less torque to get the ball into the air. The lower torque equals less twisting and straighter mis-hits. Our Verdict Cleveland’s Launcher HB is a straightforward driver with subtle but effective touches that make it a great club for the majority of golfers, from beginners to PGA Tour players. At a price point under $300, the driver is significantly more affordable than many other drivers that don’t offer this level of performance. This combination of performance and price makes the Cleveland Launcher HB our Top Pick for 2019. The TaylorMade 2018 line of drivers is one of the most heavily promoted and anticipated ones in the business for one simple reason: the Tiger factor. When Tiger Woods signed on to TaylorMade for his 2018 comeback, the golf world took notice and wanted to know what driver he’d put into play. We got our answer when they introduced the TaylorMade M3 Driver 460cc with “TwistFace” technology. This is one of the most technologically advanced drivers ever made, utilizing both titanium and carbon fiber polymers along with adjustable weights and hosel. TaylorMade has also tweaked the traditional “bulge and roll” of the clubface to emphasize correction on low-heel and high-toe ball strikes. Of course, with all the research and development (as well as advertising and sponsorship dollars) that goes into creating these technologies comes a price tag to match. If you’re a tinkerer and technophile who loves to have the latest and greatest technology, the TaylorMade M4 may be worth the steep price tag. Many golfers may find all the adjustability and the high price to be too much to deal with and will look for a simpler, more affordable solution. But if you’re a golfer with a consistent miss to correct who’s willing to take the time to fine tune the weights and loft, you may find that the TaylorMade M3 is the best option for you. The focus of TaylorMade’s advertising campaign this year has been their new TwistFace technology. Their research and development team discovered that most heel misses are low and most toe misses are high on the clubface. The traditional “bulge and roll” of most oversized clubfaces doesn’t account for this, so TaylorMade adjusted the face so it’s twisted differently than most other drivers. This adjustment is supposed to prevent overcorrection on low-heel and high-toe hits. Other drivers, they claim, put too much sidespin on these misses and overcorrect the error. With the TwistFace, you’ll find more fairways with the most common misses. So, did it work? In a word, yes. While contact felt a little strange on mis-hits, the ball did tend to fly fairly straight on mis-hits and just curve slightly back towards the fairway. However, while the directional correction was top-notch, I did notice a larger loss of distance than with some other drivers that have a more traditional face. Ultimately, it’s up to you whether you’d rather the ball fly a little bit straighter in exchange for a few yards of distance. The TwistFace isn’t the only thing that makes the TaylorMade M3 stand out from the crowd. There are two sliding weights on the sole of the club that allow you to move the center of gravity around to change your trajectory and predominant ball flight. Moving the weights forward will lower the ball flight and reduce the forgiveness of the club, but will provide greater distance on sweet spot strikes. With the weights forward, good swings produced the longest drives I saw in my testing. Sliding the weights back encourages a higher ball flight, which offers more forgiveness to all golfers. It’s extremely helpful for slow swingers who have trouble getting a low-lofted club like a driver up into the air at all. The weights don’t just slide forward and backwards, though — the rear weight can also be adjusted towards the heel or toe to promote a draw or fade ball flight. TaylorMade’s helpful design makes it easy to figure out which weight track you want for each type of ball flight. All these different weight placements make it important to take your driver to a launch monitor to see what weight setup will provide the best launch numbers. I almost wish there weren’t so many options, as it’s hard to remain convinced that there isn’t a better combination than the one I’ve settled on. Add in the 4 degrees of adjustability in the hosel, and you’ve got yourself a complicated clubhead! The loft, lie angle and face angle are all adjustable. TaylorMade does provide a helpful tuning manual, but I still found it a little difficult to remain convinced that there wasn’t a better setting out there for me. Other players might find it useful to have all these options at their fingertips, however. Our Verdict The TaylorMade M3 is a remarkable driver overall, with great distance resulting from good swings and great directional correction on mis-hits. It’s a good-looking club with its black-and-white crown and simple alignment aid. 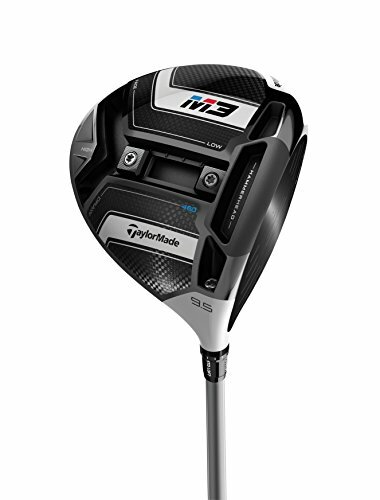 If directional forgiveness is your top priority and you’re willing to spend a little more for your driver, the TaylorMade M3 should be at the top of your list of drivers in 2019. This combination of technology, design and materials makes for a phenomenal driver that’s our Upgrade Pick for the year. TaylorMade has a winner on their hands, but the cost reflects it. Tour Edge is a company based in Batavia, Illinois, just outside of Chicago, that’s been quietly making some of the best woods and hybrids in golf since its inception in the late 1980s. They don’t offer sponsorships to PGA Tour players and yet, if you look carefully, you’ll see that many professional players have a Tour Edge fairway wood or hybrid peeking out of their bag. Any company that makes clubs good enough for the pros to forgo possible sponsorship dollars by putting them into play is worth a closer look. Brandt Snedeker had a Tour Edge 3-wood in his bag when he won the Tour Championship and $10 million FedEx Cup! 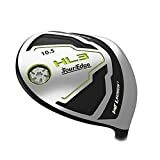 Tour Edge’s specialty is fairway woods and hybrids, but in recent years they’ve made a splash with their drivers and irons, and 2018’s Hot Launch HL3 driver is an excellent offering at a remarkably low price. Because of the fact that their marketing budget is small and they don’t pay tour players to play their clubs, they have lower operating costs than many bigger club manufacturers. This allows Tour Edge to offer clubs at much lower retail prices than the big names. You might wonder, though, if you’re compromising performance at this lower price. In my testing, the Tour Edge Hot Launch HL3 Driver performed as well as several other drivers that cost over twice as much. 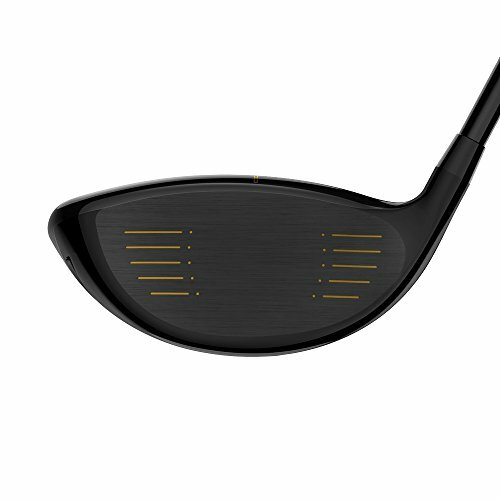 There’s nothing flashy about the driver at all: at address it’s a plain and simple black driver with a single white dot to indicate the sweet spot. It’s close to a classic pear-shaped driver with a bit of an extended back. The underside of the club doesn’t offer much more in the way of in-your-face technology. There’s a “Power Channel” right behind the clubface that amplifies the coefficient of restitution to the maximum amount allowed by the rules of golf and also serves to help shots struck low on the clubface. There’s also a weight located at the rear of the clubhead that serves to move the center of gravity as far back as possible. These two simple tweaks combine to offer surprisingly effective forgiveness on balls struck low on the face. Catching the driver a bit thin resulted in a straight shot that flew about the same distance as a sweet spot smash. 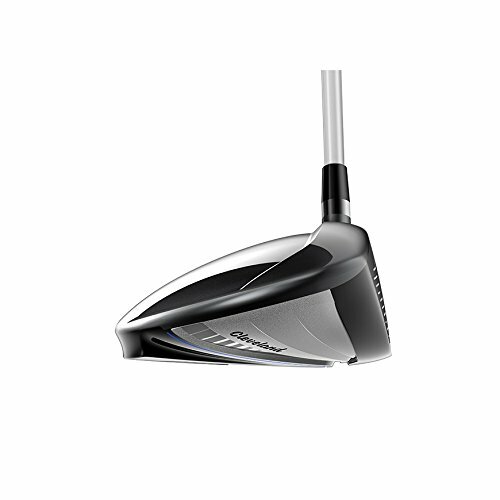 The hidden technology in the Hot Launch HL3 is a face with variable thicknesses. Most driver clubfaces have a uniformly thick clubface, but Tour Edge claims that their variable thickness face offers extra distance forgiveness by providing more and bigger sweet spots in the places that golfers tend to miss their shots. Shots out on the toe flew a surprisingly good distance, though I didn’t see quite as much forgiveness on heel shots. Directional forgiveness is not as noticeable as the Cleveland or TaylorMade drivers I reviewed, but the Tour Edge driver is significantly lower-priced than even the reasonably priced Cleveland HB Launcher. So if your misses tend to be low on the face or out on the toe, the Tour Edge Hot Launch HL3 might be something to look into, especially if you’d like to save a few bucks. At the low price of the Hot Launch HL3, you’re not going to find fancy features like adjustable lofts or weights. What you will find is a rock solid, forgiving driver that performs really well on good swings and reasonably well on mis-hits. Those of you still using a driver that’s 5-10 years old will probably be blown away by what you can get for under $200 in 2019. 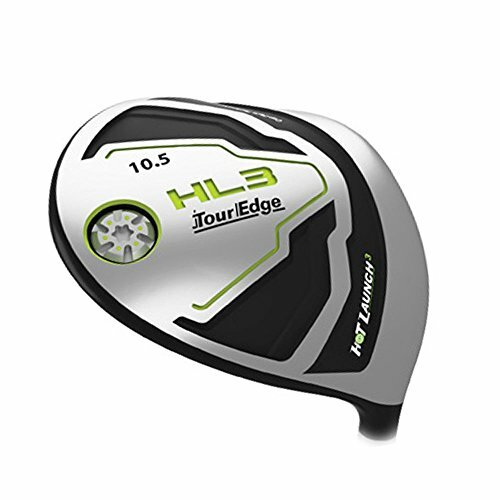 The Tour Edge Hot Launch HL3 is offered in two lofts: 9 degrees and 10.5 degrees. Notably missing from this offering is a 12-degree loft that some seniors and slower-swing-speed players might prefer. However, with the weight centered at the bottom and rear of the clubhead, a 10.5 degree shaft with a senior flex shaft might provide a high enough launch. Our Verdict As the price of clubs shoots higher and higher each year, it’s refreshing to find a good quality driver from a respected manufacturer for under $200. For a very reasonable price you’ll get great distance forgiveness, pretty good directional correction and overall very decent performance. That makes the Tour Edge Hot Launch HL3 our Budget Pick for 2019. A slice is by far the most common bad ball flight for most beginner and intermediate golfers. While their good swings will produce a decently straight drive or perhaps a mild fade that stays in the fairway, a badly timed swing or an overly aggressive swing will often produce a shot that slices off into the trees or, even worse, out of bounds. While most drivers are engineered to correct mis-hits, there are some that are specifically engineered to focus solely on correcting a slice and promoting a draw instead. This Cobra Mens F-Max Offset Driver employs a few different innovations to help straighten that slice out. First off, most obviously, is the offset. This means that the driver’s head is set back slightly from the hosel (where the shaft enters the clubhead), which closes it relative to the target line. a swing that would normally result in an open clubface, and hence a slice, will actually have a squared clubface and a straighter ball flight. While this can be visually distracting at first, the subtly effective graphics on the club’s crown help overcome that easily. The two parallel alignment lines and faint V’s really help aim the club and give a strong visual aid to find the sweet spot without being distracting. While other manufacturers offer an offset or an adjustable hosel that’ll let you close the clubface, Cobra takes one more step towards making the driver more forgiving to slicers. There’s a fixed weight inserted in the sole of the club towards the heel and rear of the driver. This extra heel weight moves the center of gravity to prevent an open clubface and to impart right-to-left (draw) sidespin. So even if you don’t get the clubface squared, the weight will help to minimize the slice spin with this draw-biased weighting. This extra step in slice prevention and forgivenes is what makes the Cobra F-Max Offset Driver really stand out. The draw-biased weight helped add roll-out on well struck drives, and the offset and weight together combined to have some of the best slice-correction of any driver I tested. If you’re someone who’s an equal opportunity misser — that is, you hit both slices and hooks — you’re better off looking for a driver that has more complete forgiveness across the clubface. But if you just need to fix a slice, the Cobra F-Max Offset driver is as long and effective a driver as I’ve come across. The shaft and clubhead are both very light, enabling faster swing speeds and more distance. 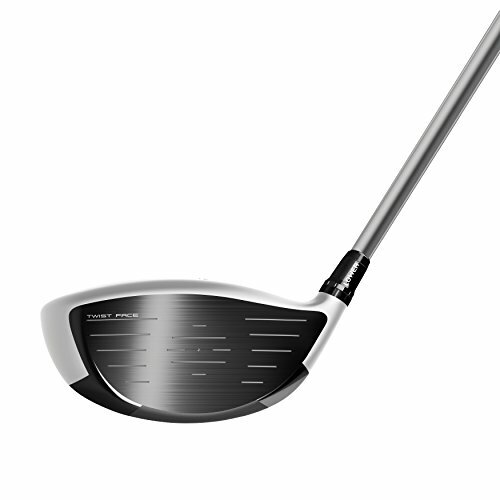 The titanium face is very hot, giving excellent yardage on mis-hits and smashes alike. Our Verdict The driver is offered in both Right and Left hand configurations, with a nice graphite shaft available in Senior, Regular or Stiff flex. It’s offered in three different loft options: 9.5 degrees for the fastest swingers, 10.5 degrees for average swing speeds, and 11.5 degrees for seniors or slower swingers who need a little extra loft to help get the ball up into the air. What are the characteristics of a forgiving driver? When you mis-hit a ball, two bad things tend to happen: the ball doesn’t fly as far as you want it to, and the ball tends to fly offline. The farther away from the sweet spot the strike occurs, the more offline it tends to fly and the more distance is lost. When a ball is struck towards the heel of the driver (where the shaft enters the clubhead), the twisting of the driver tends to impart sidespin on the ball and send it slicing off to the right for right-handed players. A ball struck towards the toe will do the opposite, hooking violently to the left. Striking a ball at the center of the clubface but lower or higher than the sweet spot is generally the “preferred” miss. Low on the clubface is called a “thin” strike, and usually results only in a loss of distance as the ball usually flies fairly straight. Striking the ball high on the clubface can sometimes even produce more distance than a sweet spot strike, as it reduces the amount of backspin on the ball and may result in a surprisingly long drive. However, hit the too high on the clubface and you’ve hit the dreaded pop-up: the ball flies straight up into the air, goes nowhere, and you’re left with an unsightly “sky mark” on the top of your driver. So what does a forgiving driver do? Some driver manufacturers focus on minimizing distance loss on mis-hits; that is, they try to ensure that hitting the ball anywhere on the clubface will result in distance as close to a sweet spot strike as possible. Others will do their best to ensure that heel and toe strikes fly as straight as possible instead of flying way offline and leaving you in the trees. The best drivers will accomplish both of these feats. Off-center hits will simply curve back towards the target line and fly distances that are comparable to perfect smashes. Of course, no driver is so well-engineered that it will correct all bad shots. Make a really bad swing and you’ll probably have to spend some time trudging through the rough looking for your ball. But today’s oversized drivers are remarkably adept at minimizing the punitive effects of a bad swing. The small, persimmon headed and steel shafted drivers that Jack Nicklaus and Arnold Palmer used had zero forgiveness: any ball not hit “on the screws” was sure to cost you a few strokes. Nowadays players look up from bad swings and are often pleasantly surprised to see their drives landing in the fairway. How do drivers achieve forgiveness? Every year golf club manufacturers move forward with technology and materials, moving the center of gravity around and increasing the Moment of Inertia to try to stabilize the clubhead and maximize forgiveness. Today’s extreme levels of forgiveness started in the early 1990s with the introduction of oversized titanium drivers. Manufacturers now utilize titanium, carbon fiber, tungsten, polymer foams, and moveable weights to offer various weighting options. Some drivers are made with adjustability options so you can fine tune the center of gravity to account for your most common mis-hits. Others simply offer a center of gravity that’s low and towards the rear of the club to help the ball get into the air fast with a good amount of error-correcting backspin. This year, manufacturers are playing with face thickness and adjusting the traditional “bulge and roll” of the clubface to help offline shots. “Bulge and roll” refers to the curvature of the clubface. A flat clubface would result in toe hits going way right and heel shots flying way left. However, driver faces are curved in a convex fashion to help impart sidespin and bring the ball back towards the fairway. Varying face thickness can help optimize the springiness of the clubface so mis-hits will still compress and shoot off the clubface with good distance. The rules of golf limit the “coefficient of restitution” of the clubface (basically, how thin and springy the face can be), but manufacturers are still finding ways to provide that maximum allowed CoR across the whole clubface instead of just in the sweet spot. What if even my sweet spot hits slice offline? If you find that your shots slice offline no matter how good your impact is, there are still options for forgiving drivers. I do have to recommend finding a PGA teaching professional to work on your swing to correct the slice, but in the meantime, you can look into an offset driver. Offset drivers are engineered with slightly closed clubfaces to help slicers get the clubface squared and hit the ball straighter. The clubface is also set slightly back from the shaft (hence the term “offset”), which provides a tiny extra bit of time to get the hands through the ball and the clubface squared up. That extra time can be the difference between slicing the ball out of bounds and sending it flying down the fairway. How do I pick the right forgiving driver for me? When you’re looking at all the different driver options, you’ll need to make an honest self-assessment of your game. Do you tend to hit the ball fairly straight and need to maximize your distance? Then you should be looking at drivers that have optimized face thinness for better distance on mis-hits. Is your miss consistently left or consistently right? You may want to look at an adjustable driver that will let you fine tune the weighting of the driver to correct your predominant miss. Or, if you slice it every time, you might look at an offset driver. Do you hit the ball all over the place with no consistency? You’ll probably want to find a driver that corrects for both distance and direction. You’d also want to look for high launch and low center of gravity to create extra backspin. The spin will help straighten out your shot. It might cost you a few yards of distance but playing more consistently from the fairway will more than make up for any distance lost. In the glutted and confusing world of golf equipment, it’s hard to get a clear picture of what driver will help your game the most. Should you go for flat-out distance? Extreme forgiveness? Fine-tuning adjustability features? With the Cleveland Golf Launcher HB Driver, you’ll find both distance and forgiveness, and likely won’t miss the pricey adjustability offered by other manufacturers. You’ll be too busy finding fairways.